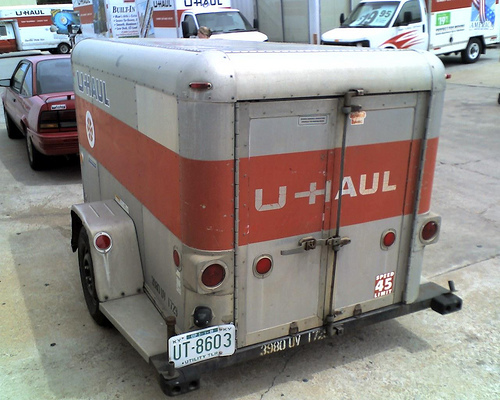 When it comes to moving home or taking your bike on a track day, hiring a U-haul trailer is one of the smartest things you can do. Not only will your precious cargo be protected against the weather and theft but it’s far safer to hire a trailer than overload your truck’s bed. 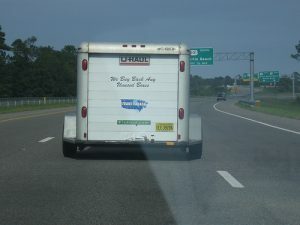 If you are planning to hire a trailer, there are a few things to consider, so let’s get started! How Do I Hire A Trailer? 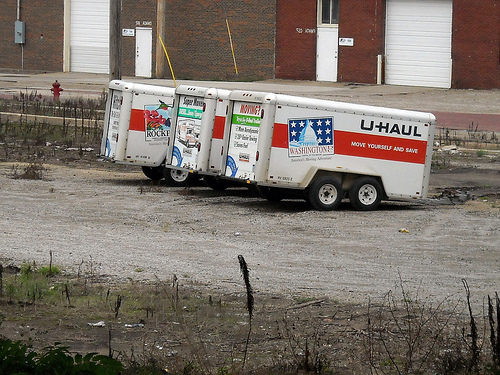 It’s really simple to find a killer deal online and you can rent a U-haul trailer for a lot less than you think. Often specialist trailer companies whose primary business is selling trailers also have a sideline in rentals. 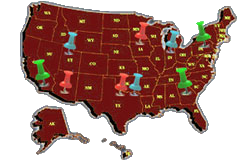 Provided that your car or truck has a towing hitch, the rental company employees will happily guide you through how to safely hitch a trailer without losing a finger. Hitches have a number of ‘pinch points’ that you want to avoid and you must never overlook the lock as sadly thieves are always on the lookout for people who forget to lock their trailer. Once you’ve covered this, the question is; how do you get the experience of driving a trailer without crashing? It’s a shame that trailer rental companies won’t help you to fit extended or over-size mirrors when you rent a trailer from them as these are a must-have when you are driving with a trailer. It’s possible that some companies will help you if you ask, but if not, heading over to an auto-parts store to source some is a great idea. You might be able to pick up some bargains if you shop online. It’s very hard to drive a trailer with just your standard wing mirrors as you can’t see the whole of the trailer. When you go to pick up your trailer, you will need an extra pair of hands to adjust the mirrors so that you can see the whole length of the trailer. Rental company employees will happily oblige with this adjustment. It shouldn’t be too difficult to pull away from the rental shop with your new U-haul trailer attached, but it sure will be nerve-wracking! Before venturing out on the highway, grab some cones, head to a vacant parking lot and make yourself a mini-course. You need to build your experience before venturing onto the road so begin by marking out two parallel lines with the fluorescent cones. Is Reversing Straight Even Possible? Don’t worry about this at first, it’s almost impossible to back up in a straight line when you have a trailer attached so don’t even try. Start at the end of your course and practice reversing back a few times without skewing out to the side too far. Some people find that keeping one hand at the ‘6 o’clock’ position on the steering wheel helps them relate to how every slight turn of the wheel affects the trailer. This can make every movement easier to visualize. With the cones in parallel line, practice braking to see how much extra space you need to stop, even if your trailer has its own brakes. Translate what you learn in the lot into leaving extra stopping space out on the highway. When you are ready, move you parallel markings into a curve and get a feel for how much extra space you need to leave yourself when you turn. Good luck!